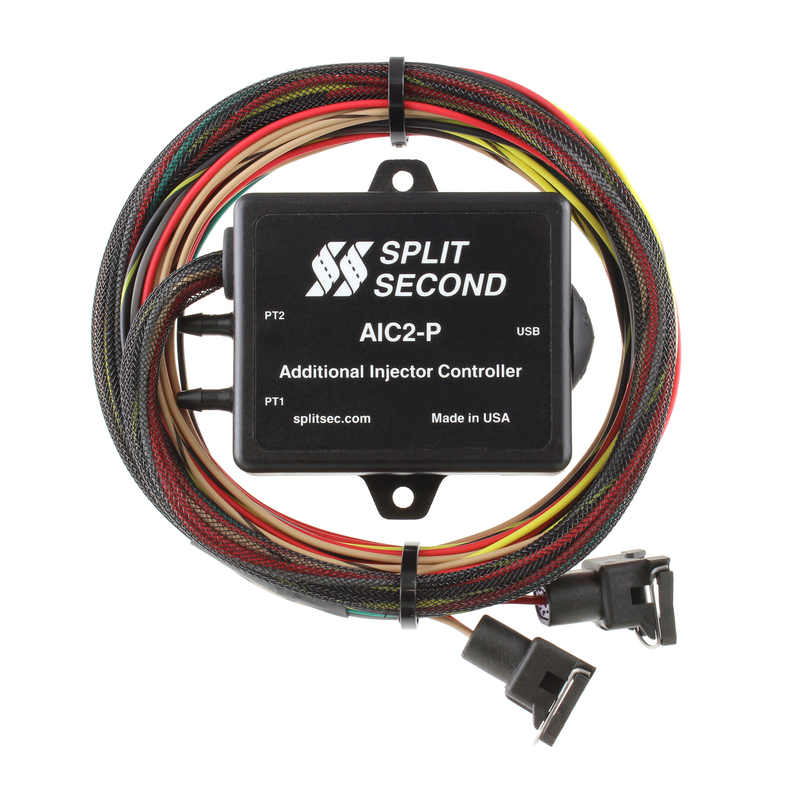 The AIC2 additional injector controller is ideally suited to turbo and supercharged engines. It provides additional fuel without changes to the stock injectors or ECU programming. This preserves the characteristics of the stock engine under light load while providing all the necessary fuel in boost. 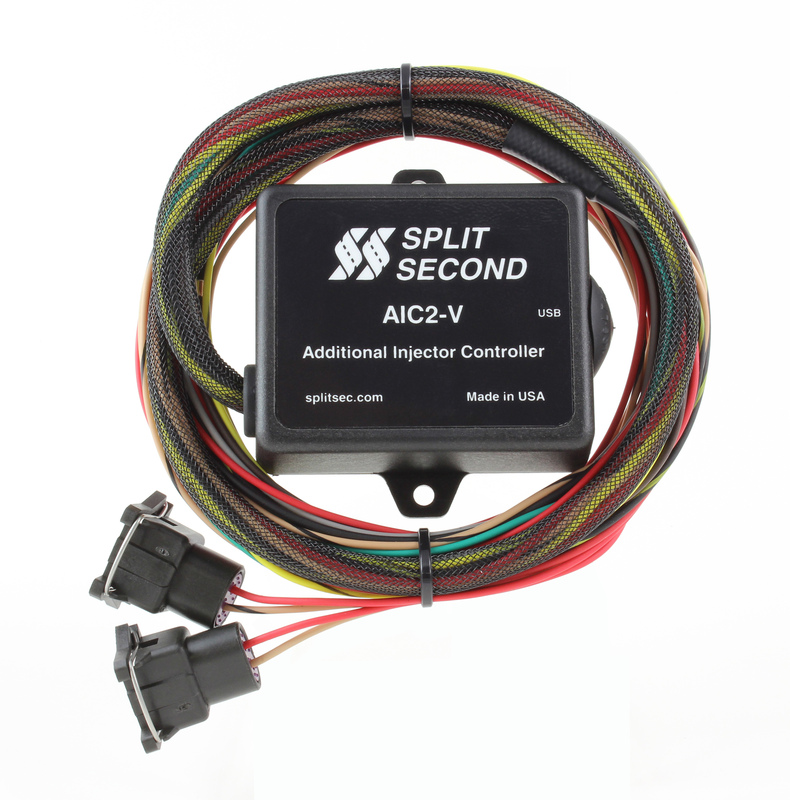 The AIC2 additional injector controller integrates seamlessly with the stock ECU to satisfy fuel requirements in boost. It can control either upstream or port injectors. It is especially useful on modern direct injected engines which have fuel systems that are difficult to modify. There are two internal injector drivers which can be operated from a single or independent tables. Each driver can drive up to four high-impedance injectors. Programming is done over a USB interface with the TunerPro RT engine management software which provides real-time programming, data dashboard and data logging. More information on TunerPro RT is available here. Bin files contain program data. Xdf definition files configure the user interface. Adx files configure data acquisition for real-time display and logging. Example bin, xdf and adx files are available from the downloads section of this site. Two-dimensional map tables provide precise fuel control over load and RPM. Additional tables facilitate compensation for elevation, air temperature and injector dead time. Map switching can be performed by on-board comparators or user input. An extremely versatile tach input is compatible with most engine speed signals. User definable pre-scaler and post-scalers produce an accurate tach reading on virtually any engine. The number of injection pulses per engine cycle are selectable between one and eight. Two versions are available. The AIC2-P features two internal pressure sensors. These sensors can be configured in a variety of ways that assure fueling is consistent over elevation change. A lower cost version (AIC2-V) is available which does not have internal pressure sensors. The V version is used with external MAP or MAF sensors. Both versions are available with either EV1 or EV6 injector connectors. A variety of harnessed versions are also available for 4, 6 and 8-cylinder engines. Click here to view the AIC2 Additional Injector Controller Data Sheet. Click here to view the Split Second and TunerPro RT Tech Note. Click here to view the Getting Started with TunerPro RT video.